Early in the morning, all the chief priests and the elders of the people came to the decision to put Jesus to death. The authorities bound Jesus, led him away and handed him over to Pilate, the governor. . . .
Jesus stood before the governor, and the governor asked Jesus, “Are you the king of the Jews?” “Yes, it is as you say,” Jesus replied. When Jesus was accused by the chief priests and the elders, he gave no answer. Then Pilate asked him, “Don’t you hear the testimony they are bringing against you?” But Jesus made no reply, not even to a single charge– to the great amazement of the governor. Now it was the governor’s custom at the Feast to release a prisoner chosen by the crowd. At that time they had a notorious prisoner, called Barabbas. So when the crowd had gathered, Pilate asked them, “Which one do you want me to release to you: Barabbas, or Jesus who is called Christ?” For Pilate knew it was out of envy that the religious authorities had handed Jesus over to him. . . . But the chief priests and the elders persuaded the crowd to ask for Barabbas and to have Jesus executed. “Which of the two do you want me to release to you?” asked the governor. “Barabbas,” the crowd answered. “What shall I do, then, with Jesus who is called Christ?” Pilate asked. 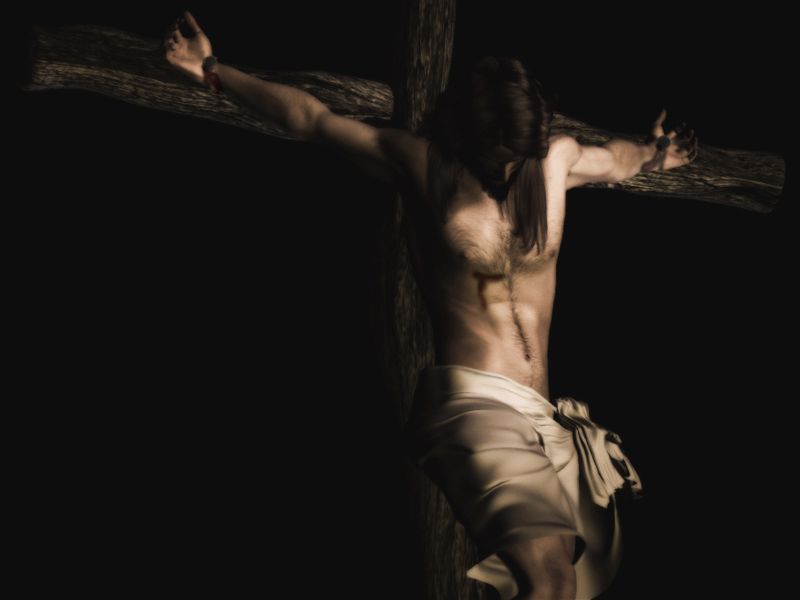 They all answered, “Crucify him!” “Why? What crime has he committed?” asked Pilate. But they shouted all the louder, “Crucify him!” . . . Then Pilate released Barabbas to them. But Pilate had Jesus flogged, and handed him over to be crucified. Then the governor’s soldiers took Jesus into the Praetorium and gathered the whole company of soldiers around him. They stripped Jesus and put a scarlet robe on him, and then twisted together a crown of thorns and set it on his head. The soldiers put a staff in Jesus’ right hand and knelt in front of him and mocked him. 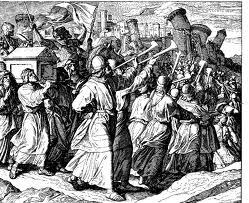 “Hail, king of the Jews!” the soldiers said. They spit on Jesus, and took the staff and struck him on the head again and again. After they had mocked Jesus, they took off the robe and put his own clothes on him. Then the soldiers led Jesus away to crucify him. . . . 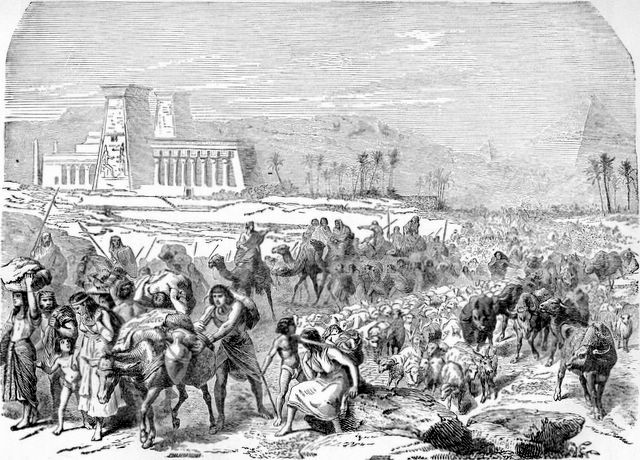 They came to a place called Golgotha (which means The Place of the Skull). There the soldiers offered Jesus wine to drink, mixed with gall; but after tasting it, he refused to drink it. When the soldiers had crucified Jesus, they divided up his clothes by casting lots. And sitting down, the soldiers kept watch over Jesus there. Above his head they placed the written charge against him: THIS IS JESUS, THE KING OF THE JEWS. . . .
From the sixth hour until the ninth hour darkness came over all the land. About the ninth hour Jesus cried out in a loud voice, “Eloi, Eloi, lama sabachthani?” — which means, “My God, my God, why have you forsaken me?” . . . And when Jesus had cried out again in a loud voice, he gave up his spirit. At that moment the curtain of the temple was torn in two from top to bottom. The earth shook and the rocks split. The tombs broke open and the bodies of many holy people who had died were raised to life. 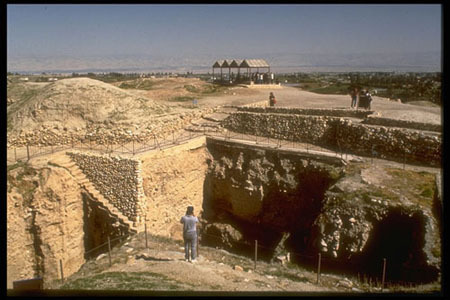 The dead came out of the tombs, and after Jesus’ resurrection they went into the holy city and appeared to many people. When the centurion and those with him who were guarding Jesus saw the earthquake and all that had happened, they were terrified, and exclaimed, “Surely he was the Son of God!” Many women were there, watching from a distance. 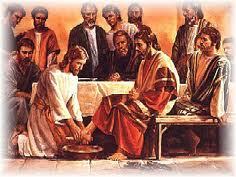 They had followed Jesus from Galilee to care for his needs. Among them were Mary Magdalene, Mary the mother of James and Joses, and the mother of Zebedee’s sons. As evening approached, there came a rich man from Arimathea, named Joseph, who had himself become a disciple of Jesus. 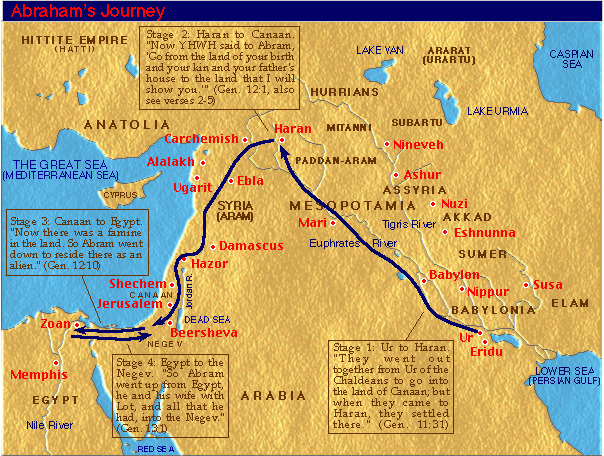 Going to Pilate, Joseph asked for Jesus’ body, and Pilate ordered that it be given to him. Joseph took the body, wrapped it in a clean linen cloth, and placed the body in his own new tomb that Joseph had cut out of the rock. Joseph rolled a big stone in front of the entrance to the tomb and went away. . . .
“Sir,” they said, “we remember that while Jesus was still alive that deceiver said, ‘After three days I will rise again.’ So give the order for the tomb to be made secure until the third day. Otherwise, his disciples may come and steal the body and tell the people that Jesus has been raised from the dead. This last deception will be worse than the first.” “Take a guard,” Pilate answered. “Go, make the tomb as secure as you know how.” So they went and made the tomb secure by putting a seal on the stone and posting the guard. 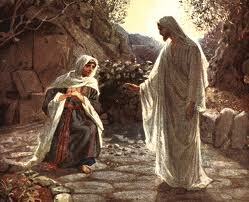 After the Sabbath, at dawn on the first day of the week, Mary Magdalene and the other Mary went to look at the tomb. There was a violent earthquake, for an angel of the Lord came down from heaven and, going to the tomb, rolled back the stone and sat on it. The angel’s appearance was like lightning, and his clothes were white as snow. The guards were so afraid of him that they shook and became like dead men. Suddenly Jesus met them. “Greetings,” he said. 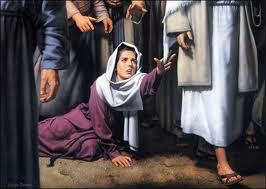 The women came to Jesus, clasped his feet and worshiped him. Then Jesus said to them, “Do not be afraid. Go and tell my brothers to go to Galilee; there they will see me.” . . .
What does Jesus dying on the cross mean to you? What does Jesus’ resurrection mean to you? This fall, Pastor Susannah and I have been reminding us of key stories that lie at the heart of Scripture, and shape our own lives as Christians. While we have taken a break with the Houston Preaching Mission with Donald Davis (Oct. 17), and our Youth Sunday (Oct. 24), we return to these stories on October 31 (All Saints Day) as I preach about the life of Jesus Christ. From Genesis 1, the story of Creation, I said that discovering the image of God in ourselves, in other people, and in Jesus Christ has profound implications about how we ought to live in these incendiary times. Because all people have been created in the image of God, words should never be used to demonize, and dehumanize, and hurt. You and I and all people are God’s children, and we ought to treat one another as loving brothers and sisters. From Genesis 12, the Call of Abraham and Sarah, I reminded us that being called by God and responding to God is a gift that is available to all. God did not just call Abraham and Sarah, or me, but all of us. The Call is a gift. We do not deserve the gift of being called. We have not earned the right to be called. But what God offered to Abraham and Sarah, and through Jesus, and to me, and to all of us is a life in which we are never alone and that may well become a blessing to others. I do not know when, where, or how God has called you, but I do know that God has called you. God’s Call, however, always requires a response. How will you accept, embrace, and obey God’s call? From Exodus 3, the Call of Moses, I said that many of us, our families, our friends, our neighbors, and people around the world, need to hear this story of call and liberation. 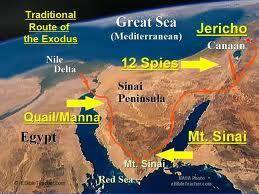 Many among us are slaves to many different Pharaohs and need to be set free. Some of us are slaves to our work. Some of us are slaves to addictions. Some of us are slaves to our families. Some of us are slaves to our own passions and desires. Some of us are slaves to our possessions. Some persons in our world are slaves to dehumanizing ideologies or poverty or a host of other slave masters. All of us are slaves to sin and death. Yet, God continues to call each one of us, like Moses and Jesus, to tell God’s Good News. God can set all people free, if we will simply tell this story. Pastor Susannah reminded us that the Ten Commandments are a gift to us from God that enables us to live as children of God. Do join us again on All Saints Day on October 31 as we continue to journey with God through the Bible. You shall not misuse the name of the LORD your God, for the LORD will not hold anyone guiltless who misuses God’s name. but the seventh day is a Sabbath to the LORD your God. On it you shall not do any work, neither you, nor your son or daughter, nor your manservant or maidservant, nor your animals, nor the alien within your gates. For in six days the LORD made the heavens and the earth, the sea, and all that is in them, but God rested on the seventh day. Therefore the LORD blessed the Sabbath day and made it holy. The biblical scholar Walter Brueggemann writes: “The Ten Commandments constitute the bottom line and reference point for all Old Testament thinking about ethics.” Are these commandments your bottom line? Which commandment do you observe the most? 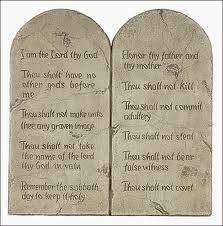 Which commandment do you observe the least? 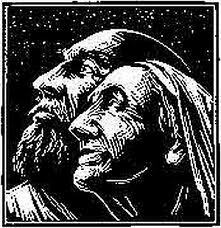 Now Moses was tending the flock of Jethro his father-in-law, the priest of Midian, and Moses led the flock to the far side of the desert and came to Horeb, the mountain of God. Then God said, “I am the God of your father, the God of Abraham, the God of Isaac and the God of Jacob.” At this, Moses hid his face, because he was afraid to look at God. God also said to Moses, “Say to the Israelites, ‘The LORD, the God of your fathers– the God of Abraham, the God of Isaac and the God of Jacob– has sent me to you.’ This is my name forever, the name by which I am to be remembered from generation to generation. When and where have you stood on holy ground? From what do you need to be set free?